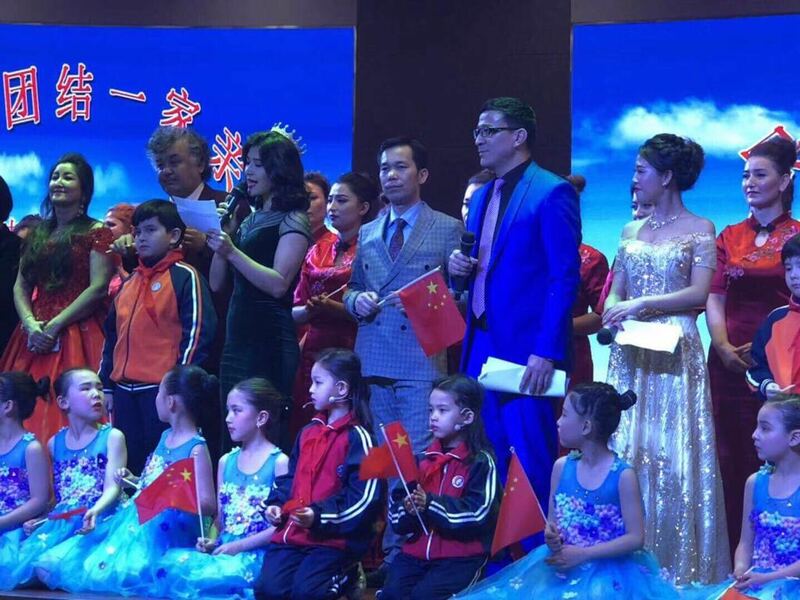 While many people were watching and discussing the racial politics behind the use of black-face in a Chinese portrayal of African women during this year’s Chinese New Year gala, across Chinese Central Asia Uyghur women and children were performing another kind of ethno-racial erasure. Unlike in years past, this year Uyghurs were asked to perform their Han affinity by participating in Han cultural events. Although “Chinese New Year” is not an exclusively Han tradition, it is seen as un-Islamic and experienced as exclusively Han by most Uyghurs. In the past Uyghurs have nearly universally abstained from writing couplets and pasting them over the frames of their doors, lighting fireworks, making dumplings, and forcing their children to dress in Han traditional clothing and perform Han cultural myths. As seen in the state media clip above and the images below, this year was different. For Uyghurs in the diaspora outside of China these images are images of hopelessness and decimation. They are images of Chinese state terror masquerading simply as Han paternalism. They are red images of horror. 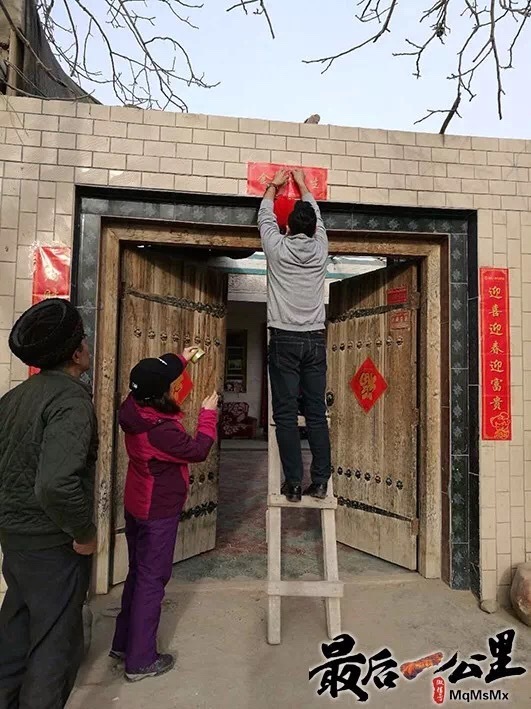 This year, according to reports that have filtered out of the region, fines were put in place for those that did not perform their fealty to the state by dressing in red and pasting couplets over the door to their house. Many Uyghurs were also asked to attend dumpling-making celebrations with their Han “older brothers” and “older sisters.” Since asking whether or not the dumplings were stuffed with pork would have been a sign of a lack of love for Han culture, many allegedly were forced to eat dumplings without asking if the meat that was used was pork. Many of those that participated in these events said that they were crying on the inside while smiling on the outside. This year not participating in the Spring Festival was framed as resisting the love of the Chinese state. If a Uyghur refused to participate it was a sign that they were not yet broken and that they should be sent to fortified reeducation camps along with hundreds of thousands of other Uyghurs. Participating in the Year of the Dog celebrations were seen as a way of declaring that one’s primary allegiance was to the Chinese state and how much one wished to eliminate their Uyghur identity. It was a way of acknowledging that what the Chinese state had done to hundreds of thousands of fathers, brothers and sons over the past four years was justified. It was a way of demonstrating how well the state was doing in destroying the inner Uyghur “terrorist, extremist and separatist” while saving the patriotic Chinese citizen. 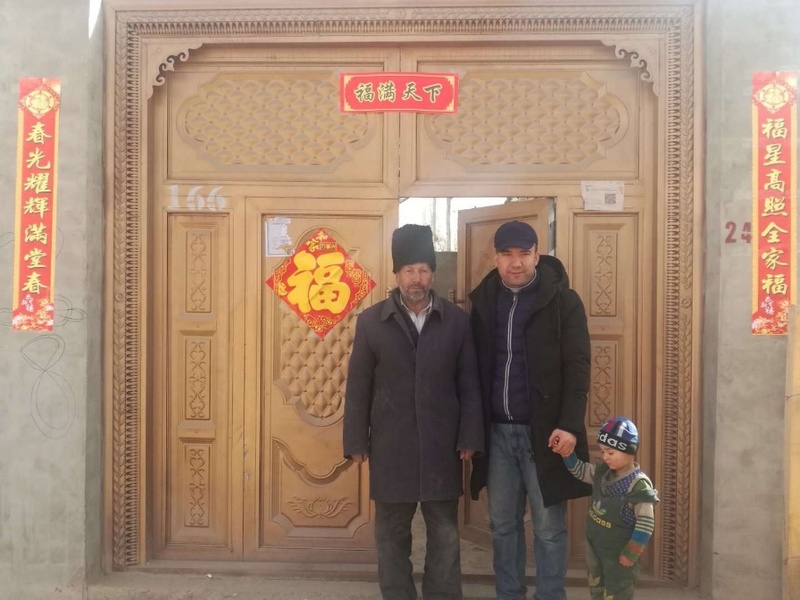 Celebrating the Spring Festival with Han settlers and surveillance teams is particularly disturbing for Uyghurs because since the “People’s War on Terror” began in 2014 Uyghur traditional festivals that center around the Islamic calendar have been largely outlawed. It is now impossible to observe the fast during Ramadan and celebrate Rosa Heyt (or as it is referred to in Arabic: Eid al-Fitr). Likewise Qurban Heyt (Eid al-Adha) is also highly restricted. Instead the Chinese state is telling Uyghurs they must celebrate Han holidays. A still image from one of many Uyghur Chinese New Year Celebration videos of Uyghur children celebrating Han rituals and Chinese patriotism. For Uyghurs in the diaspora outside of China these images are images of hopelessness and decimation. They are images that hail a future in which Uyghur forms of knowledge and power are eliminated. Uyghur society itself appears to be under threat. They are images of the current of fear that has been triggered by the reeducation camp and the hard-labor prison system. They are images of Chinese state terror masquerading simply as Han paternalism. They are red images of horror. These images are ubiquitous. 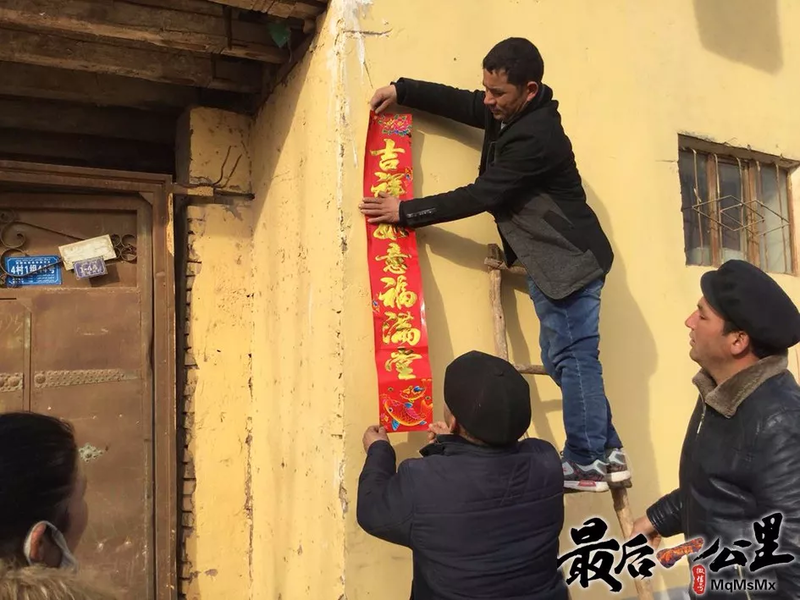 All Uyghurs outside of China have seen them: strange banners and couplets pasted to the doorways of their natal homes in the Uyghur homeland. Portraits of family members and Uyghur cultural figures dressed in red or carrying the Chinese flag declaring their love for Han cultural traditions and the beneficence of the state. 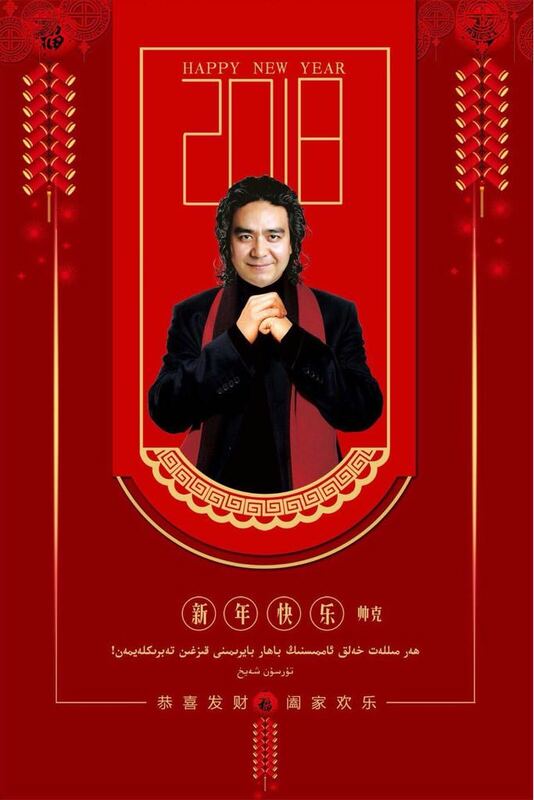 The Uyghur popstar Tursun Sheykh demonstrating his fealty to the state. The Uyghur popstar Möminjan at the Uyghur version of the Chinese Spring Festival Gala. 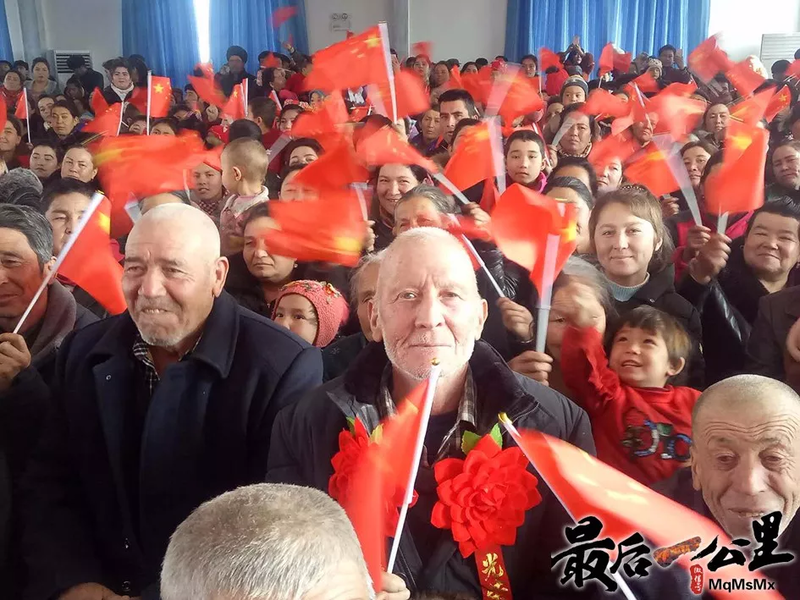 The images also show the way Uyghur villagers have been gathered in cultural centers across the Uyghur homeland to watch the Spring Festival gala and demonstrate their love for the nation. 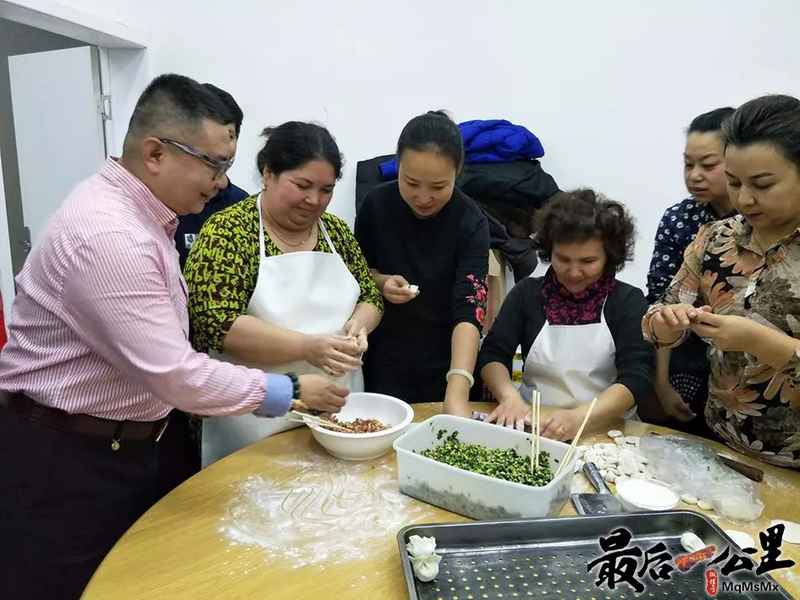 The images show how Uyghurs gathered with their Han “older brothers and sisters” to make dumplings. The sheer number of the images documenting the celebrations are remarkable. Many of the activities appear to be staged for the camera and for Internet circulation. In all cases the images demonstrate that the women and children who have not been taken to the reeducation camps are loyal to the Chinese state. They also demonstrate the warm-hearted paternalism of Han state workers. It is as though the state workers feel as though they are leading by example. If they simply demonstrate how wonderful Han traditions are, Uyghurs will be able to imagine themselves as becoming Han. At the same time that these images and videos of forced celebration among those who are not yet in the prison system began to circulate, videos and stories of the forced patriotism of Uyghur detainees was also widely circulated among Uyghurs in the diaspora. This video is a reminder that most of what we can see are just the secondary effects of the real horror that is taking place in the Uyghur homeland. 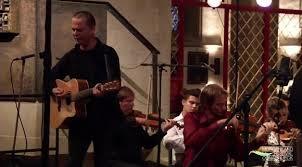 Performances like these call into existence a new subject population. It also pulls into view the violent paternalism of the contemporary Chinese state.